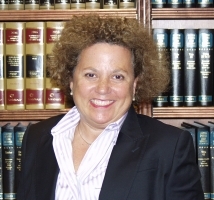 Martha Buyer is an attorney whose practice is largely limited to the practice of communications technology law. In this capacity, she has negotiated a broad array of agreements between providers and both corporate and government end users. She also provides a wide range of communications technology consulting and legal services, primarily geared to support corporate end-users' work with carriers and equipment and service providers. In addition, she works extensively with end users to enable them to navigate international, federal, state and local regulatory issues, with particular attention to emergency calling, along with issues related to corporate telecommunications transactions among and between carriers, vendors and end-users. She has also supported state and federal law enforcement in matters related to communications technology. Ms. Buyer's expertise lies in combining an understanding of the technologies being offered along with contractual issues affecting all sides of the transaction. Prior to becoming an attorney, Ms. Buyer worked as a telecommunications network engineer for two major New York-based financial institutions and a large government contractor. She is an adjunct faculty member at Regis University, the Jesuit college in Denver, where she teaches a graduate-level course in Ethics in IT.